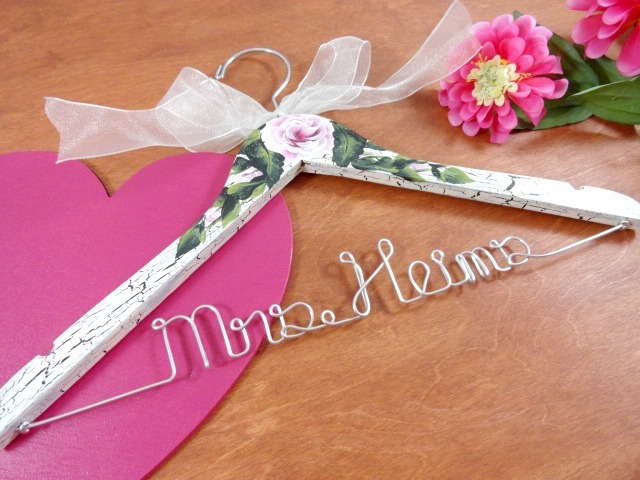 AMY'S ORIGINAL BRIDAL HANGERS: Personalized Handmade Hanger to Go! Personalized Handmade Hanger to Go! 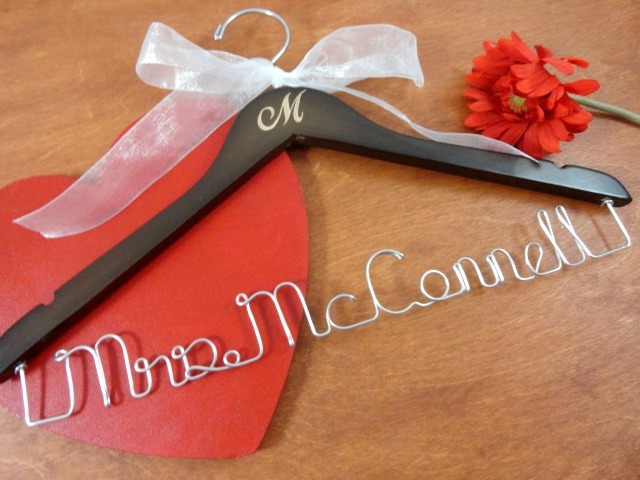 I am finding that many of the brides to be or people who are shopping for a last minute bridal gift, are wanting the personalized hangers on the run. With the amount of orders coming in it is often hard to offer this as an option. However, with that being said I do truly have a wonderful choice for just that situation! My handmade hangers with the lovely heart on the front will fill this request quite nicely! 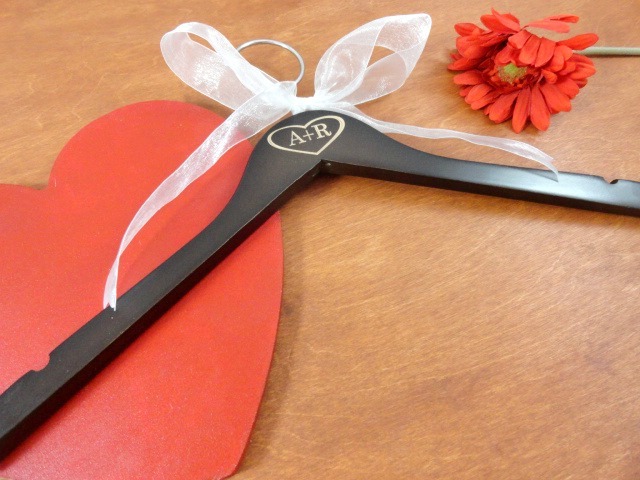 You will receive a lovely sturdy hanger, with vinyl personalization in the heart! So, you are not only receiving an awesome hanger for your wedding day photos, but a unique keepsake as well! The prices range from $20 - $25 plus shipping......Great price! !